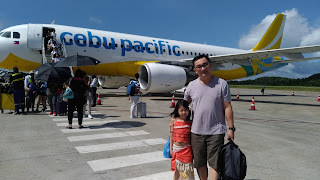 I am forever grateful to my parents because they are always available to take care of my little princess whenever DH and I want to go out on a date. The live just a few minutes away from us so it is very convenient to drop off our little girl. Plus, my parent's house is strategically located in between two huge malls- Robinsons Magnolia and Greenhills Shopping Center. For our movie date, we decided to watch at Promenade in Greenhills Shopping Center last night. After buying tickets for Fantastic Four, we decided to grab a quick dinner at the newly renovated Peri-Peri Charcoal Chicken & Sauce Bar. A few minutes after taking our order, the waitress came back with our Peri-Peri Chicken. 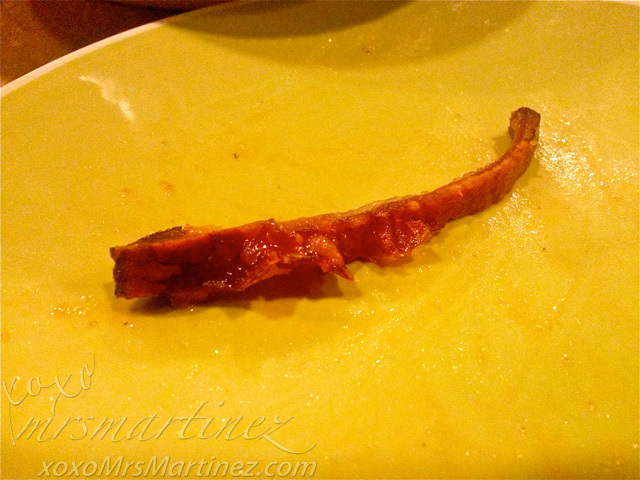 I was disappointed when I saw how tiny it was- think---> Spring Chicken. But when it comes to taste, it was tender and juicy at the same time. 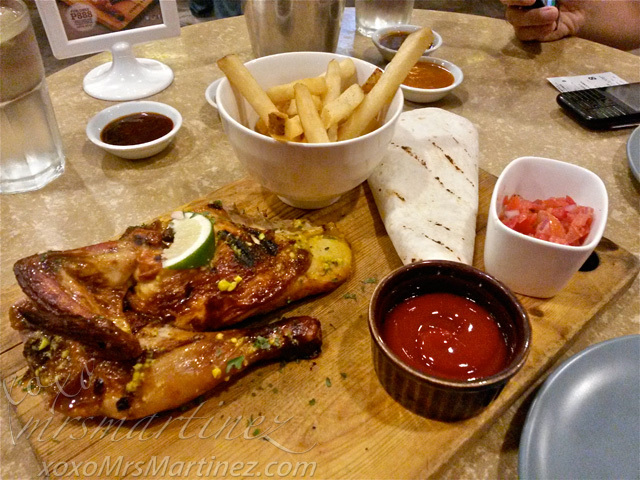 Compared to Senor Pollo, Peri-Peri Charcoal Chicken won hands down. Price wise, the latter is a little expensive but I am willing to pay more for better tasting chicken. 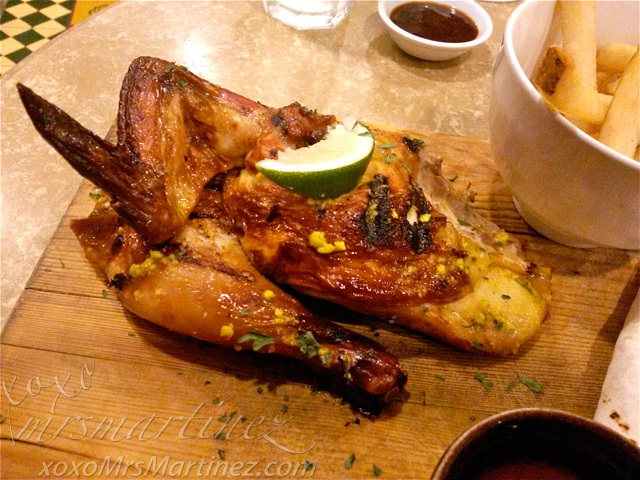 1/2 Peri-Peri Chicken (Metade) is also available for only Php 280. If you want 1 Side Dish to go with your 1/2 Peri-Peri Chicken (Brasilla), pay only Php 305. There is also 1/4 Peri-Peri Chicken on the menu. The prices are Php 140 without any side dishes, Php 180 with 1 side dish and Php 205 with 2 sides. I chose Tortilla while DH chose Fries for our side dishes. There were two tortilla wrappers for every order. I sliced the Peri-Peri Charcoal Chicken into tiny cubes, added salsa and my choice of Peri-Peri's Sauce- Apachee'kn (Mesquite BBQ-Smoky, Sweet & Tangy). It's so yummy! Sides available are Corn & Carrots Php 60, Coleslaw Php 60, Java Rice Php 60 Java Garlic Rice Php 60, Tortilla Php 60, Fries Php 70, Hummus Php 60 and Mashed Potato Php 60. Each person can choose two sauces that can be refilled at any time. 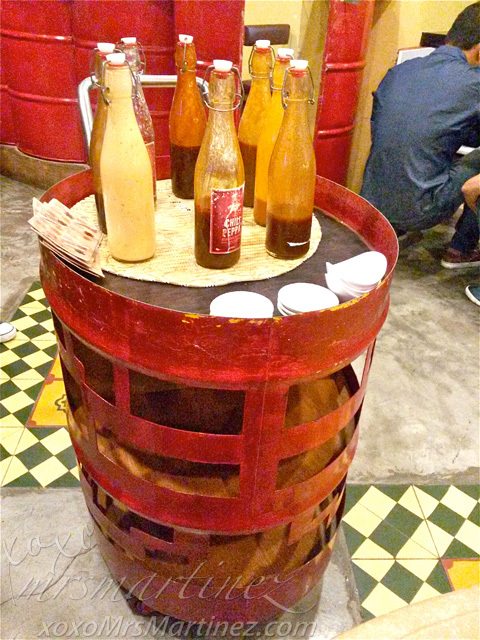 There are 8 Peri-Peri Signature Sauces- Apachee'kn (Mesquite BBQ-Smoky, Sweet & Tangy), Tokyo Tori's (Sweet Soy-Sweet Teriyaki Style), Count Cluckula's (Garlic Brew-Garlicky, Spicy), Fowl-Mouthed (Chili Peppa'-Fiery & Hot), Hen Dynasty's (Hoisin Sesame-Sweet, Tangy with a Hint of Spice), Ku Tuka's (Honey Pinakurat-Filipino Spiced Vinegar), Sheik Chic's (Harissa Exotica-Exotic Blend of Spices) and Poulet Vous (Cajun Remoulade-Spiced Mayonnaise). 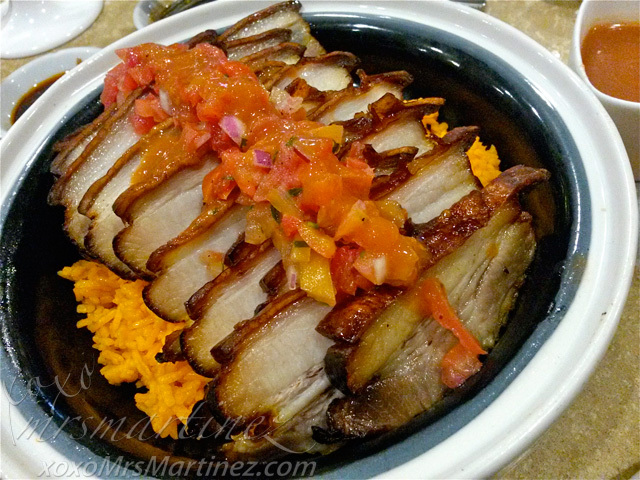 Plato Porco is marinated pork belly, it is braised until tender. 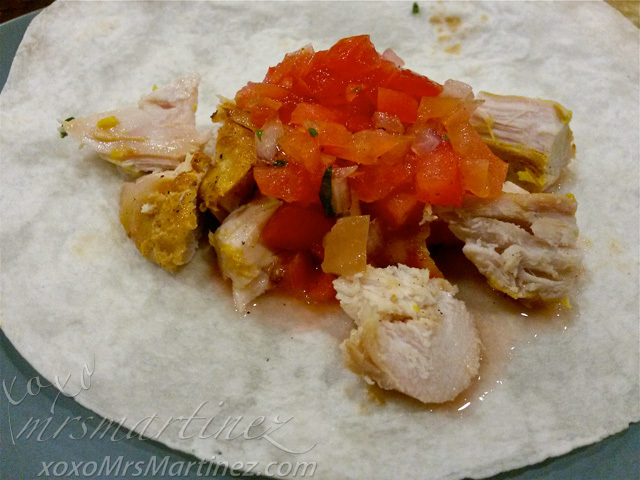 This is so tasty even without the accompanying dipping sauce (Salsa Gravy) which tasted weird, if you ask me. This dish is served on a shallow bowl. Although the pork belly is generous in serving, the java rice was meager in portion. Peri-Peri Charcoal Chicken is located at U206-207 Cinema Level, Greenhills Promenade, Greenhills Shopping Center, San Juan 725 5270.